Sakura is made by Kyodogakusha with Japanese origin yeast and microbes. Its maker wanted to make something uniquely Japanese, so he added a pickled cherry blossom in the center to look like the Japanese flag. Sakura exudes all the elegance of a cherry blossom. Beyond the elegant flower bud placed in the middle of the round, the cheese is covered in a soft, pillowy white mold. Inside it is pure and white, with a thin cream line that develops under the rind. On the tongue, it melts in your mouth with a faint acidity and light saltiness. Sakura is not a pungent cheese, but one made for the Japanese palate. Its flavors are refined and nuanced. The gentle smell of sakura and its comfortable lingering flavor encourage you to eat more. 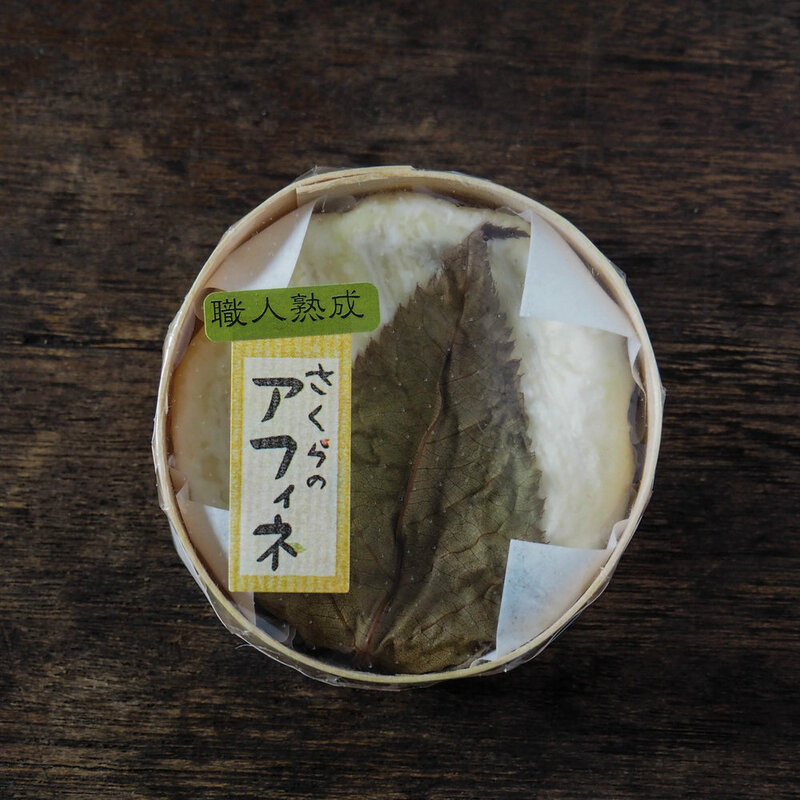 While enjoying, don’t leave behind the shiso leaf it sits on. To see what an aged Sakura looks like, check out its aged alter-ego Sakura Affine. Texture: firm, smooth; cream line develops along the edges as it ages. Notes: Seasonal- only available between January and May when the milk is light and delicate. Numerous awards in Europe and Japan.